Mr. Mooney joyfully allows Lucy time off from the bank to be a temporary secretary to an important client, Milton Berle. 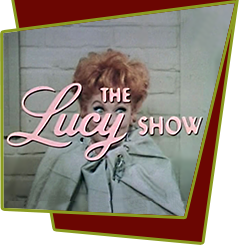 When Lucy overhears Milton rehearse a torrid love scene with Ruta Lee, she thinks the two are having an affair and it leads to a series of misunderstandings and comic repercussions. Lucy decides to teach the cad a lesson by "tossing his salad". Special Notes: Lucy Carmichael had already met Milton Berle in episode #96, "Lucy Saves Milton Berle", and logically the two should not be strangers.